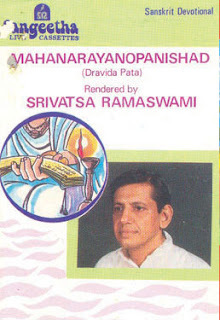 Wonderful surprise this morning to come across this old Video of a TV slot Ramaswami presented back in the 1980's. The caption says it's the first of a series, so hoping for more of these. So nice to hear my teachers calm gentle voice again, guiding you through the movements with a minimum of fuss. If your style is Ashtanga you might like to look at these as an option for a short evening practice, perhaps pre pranayama or meditation. Something for Saturdays or moon days perhaps or if you have an injury. Vinyasa Krama is also excellent for exploring the postures and variations around the asana we do daily in Ashtanga which could help as preparation, teaching aids etc. Richard Freeman on the recent workshop I attended employed several variations of our regular asana that reminded me of Vinyasa Krama. Looks look Ramaswami is doing a voiceover here, no doubt because of the poor quality of the video recording, no doubt he will mention these videos in his October Newsletter and tell us more about them. The video starts of with some standing tadasana variations followed by twisting and forward bending, paschassana is five minutes in. Next up are some triangle postures (looks like a different video). Another video change ten minutes in and the sweetest little jump through, knees bent but without the ankles crossed. They then move into some seated postures followed by another video change and a virasana/vajrasana sequence including backbends and a very nice kapo after fifteen minutes. Of course in your own practice of this sequence you can take it even slowly, lengthening the breath further, stay for longer in the postures as Ramaswami indicates and perhaps do more repeats etc. Looking forward to downloading these and practicing along this evening. the time and maybe you would like to forward it to a friend or two. Find this book on amazon.com"
Actually not my first class, I've been teaching M. for sometime now, was particularly proud the other day when I got home and found (it was her day off) that she had practised for 40-60 minutes on her own in my practice room (now our practice room). She'll always be my first 'student'. But yesterday was the first non family...'official' class. I don't want to say too much about it as I feel it's a teacher/student, private thing but this is the first time and he found me through this blog so enough perhaps to say that he has been practising Yoga for fifteen years or so, mostly Ashtanga but also Sivananda and Inyengar and is a teacher himself and in the country for a few days. So experienced enough that I could mainly focus on Ramaswami's approach. M. was a complete beginner so it was interesting to have such a contrast. The lesson seemed to go really well but ran over, we'd planned on three hours but it ended up four an half hours with only savasana breaks. The main thing I wanted to do was give him the tools to practice Vinyasa Krama at home, to be able to take Ramaswamis book and turn it into a viable daily practice so it was a all about selection and combination of asana and subroutines and integrating the practice with pranayama, pratyahara and japa meditation. I started the class off with the long Ganesha/Patanjali prayer, Ramaswami would have liked me to but while I chant it to myself every morning it felt a bit strange chanting it out loud with someone I don't know, glad I did though. Then we just went through the sequences, a lot of time spent on the On your feet sequence as it's a good place to introduce the main principles of Ramaswami's approach. With the other sequences I mainly wanted to bring in the postures/subroutines that were particularly different in approach to ashtanga and Iyengar and work at a subroutine level. Nice long paschimottanasana, shoulder stand and headstand with vinyasas. This was quite exciting for me, Kapalabhati first and then we looked the pranayama mantra together. I was basically directing the inhalation, holds, exhalations and then chanting out loud the pranayama mantra while he retained the breath after the inhale. It's hard to do, bit like juggling, need more experience with doing it. In awe of Ramaswami keeping that up so effortlessly for forty minutes on the course, I only did ten. Then pratyahara and Japa meditation, when the meditation timer went off I closed with a peace mantra, didn't feel so awkward chanting out loud this time and again, glad I did. He may be coming back in the week, kind of want to do an actual integrated practice of around 90 minutes, just as I would do it myself ( just heard, he's asked to come again this evening which will be nice as everything will be still fresh'ish). Next time I guess I'd like to keep it a little tighter and down to three hours with a break perhaps after 90 minutes. Asana focus for the first half then come back after the break for the long paschi, shoulderstand prep and headstand before moving into the pranayama etc. I enjoyed it but then he was an ideal first student and we had enough time to get stuck into the approach. Teaching a series of one hour or 90 minute classes would be another challenge altogether. Brought home to me that I've some experience of this approach now and of turning it into a home practice in particular and that I should be sharing that more directly. Also of some of the areas to work on to be a better at it, all those newsletters of Ramaswami's to study more closely. The best thing of all was that I could almost hear Ramaswami over my shoulder, almost as if I was channelling him. I wasn't trying to do an impression of him but perhaps what he's teaching and how he's teaching it are so entwined in my mind that I can't help approaching it in a similar way. Notice that I ache a little all over from demonstrating and practicing along for much of the time, forget how tough Vinyasa Krama is sometimes. 'During my recent visit to India I made a DVD of an abridged version of two Vinyasakrama Yogasana sequences, I have uploaded routines on those sequences. The audio quality is terrible, but you may prefer to watch in mute mode. I hope to clean up the audio and reload them in due course'. Ramaswami teaching the ON YOUR FEET / TADASANA Sequence. I tend to do a ten minute mini version of the tadasana sequence below every morning as soon as i step on the mat, whether I'm practicing Vinyasa krama or Ashtanga, this is similar to how we would start every asana session on Ramaswami's Teacher training course and gives an idea of how you might approach adapting Vinyasa Krama to your own situation and time available. See my earlier post for videos of Ramaswami teaching the Meditative sequence inc. vajrasana, virasana, ushtrasana, kapotasana. 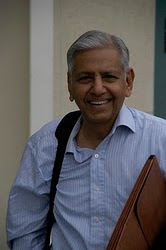 13 April- 15 April Yoga in the tradition of Krishnamacharya The Yoga Shala Ridgefield Connecticut. 200 Hr Teacher Training Program on Vinyasakrama Yoga—Registered with Yoga Alliance. 6. Yoga Sutras (20 hours). This was the course I took in 2010, feel free to ask me any questions you may have about the course either in comments or by direct email (address in my profile page). Ramaswami teachng vajrasana subroutine from Meditative sequence. Wonderful to hear my teachers voice again this afternoon, giving instruction on the videos below, just as I remember it, big smile on my face. 'During my recent visit to India I made a DVD of an abridged version of two Vinyasakrama Yogasana sequences, I have uploaded two routines on those sequences 9now three). The audio quality is terrible, but you may prefer to watch in mute mode. I hope to clean up the audio and reload them in due course'. I can almost imagine it's Ramaswami there on the mat as a young man while Krishnamacharya gives the instruction pretty much as we hear it here. 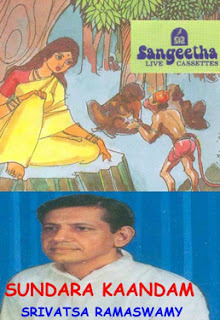 'Between 1980 and 1995 I recorded for a recording company “Sangeetha” many Sanskrit chants I learnt from Sri Krishnamacharya and more. During my recent visit to Chennai I talked to H M Krishna a partner of the firm and he said that they were about to make available online about 18 of my titles—hope it works out. A list of my programs is available, in the following site. 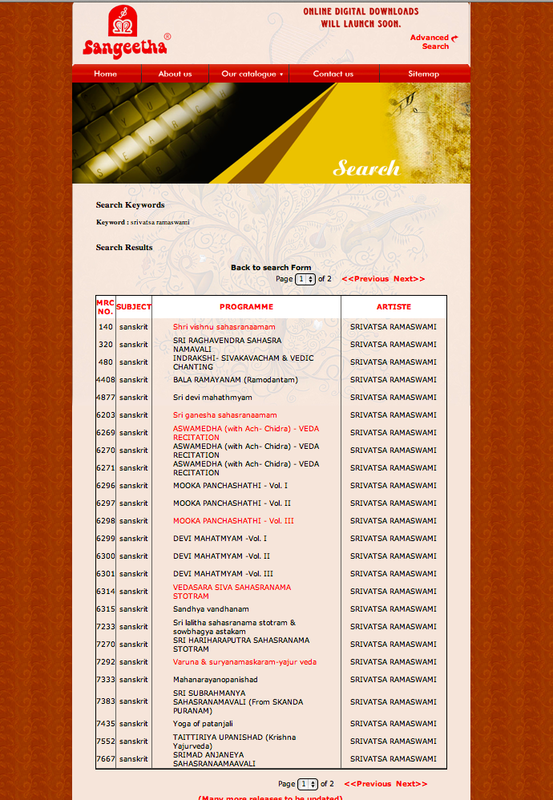 Open the site and type Srivatsa Ramaswami in the search window for the complete list. You may click on individual titles for more info on each program. The total chant time of all the program may be about 30 hrs. I hope they will be able to organize the on line downloading soon'. It's a wonderful site and there is the option of listening to a preview of most of the recordings but where to start. 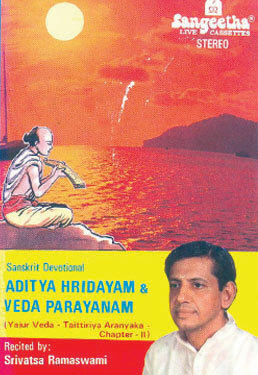 'If you like vedic chanting then Suryanamaskara, Taittiriya Upanishad, Mahanarayana Upanishad and vedic chanting contained in adityahridayam and indrakshi cds will be nice to hear. I would also prefer listening to Rudram chamakam from the cd that came originally with "CBVK" book. Then one may want to study the meaning and commentaries, especially the upanishads apart from making an attempt to chant oneself. More religiously oriented people in India like to listen to Vishnu sahasranama, Lalita sahasranama. Others whose ishta devata (favorite deity) may choose the other sahsranamas like Ganesa, Siva, Durga, Gayatri, Anjaneya etc.,and if you have the patience the ten hour long Sundara Kanda from th Ramayana. Since many have their own meter and rhythm some like to chant or listen to these non vedic or laukika chants'. I was rereading Ramaswami's Yoga for the Three Stages of Life this afternoon. 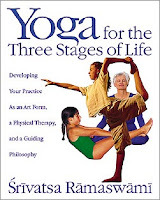 In the first chapter, where he writes about his yoga studies and in particular his relationship with Krishnamacharya, there are a couple of paragraphs about the period in which he made many of these recordings. Here for example is the section on the audio sample. Tato yuddha parisrantam = At that battle ground; Samare cintaya sthitam = with great worry engulfing in the battle; Ravanam cagrato drustva = Gazing at Ravana with Single minded attention; yuddhaya Samupasthitam = Having prepared to fight. Seeing Sri Rama Standing absorbed in thought at the battle field, exhausted by the fight and facing Ravana who was duly prepared for the war. Daiva taisca Samagamya = Came along with the Devas to witness the war; Drastu mabhyagatoranam = Seen Rama depressed; upagamyabra-vidrama = Met him alone; Agasthyo Bhagavan = The Cosmic Rsi Agasthya. The all knowing cosmic Sage Agastya who had come with Gods to witness the battle, approaching Sri Rama Singly spoke to him thus. Rama Rama Mahabaho = Addressing the elegant armed Rama; Srunu guhyam Sanatanam = Hear the most secret and ancient; Samare Vijaisyasi = Will win in the war. ‘O’ Rama, ‘O’ Mighty elegant armed Rama, listen to the eternal secret by which, ‘O’ my child, you shall conquer all your enemier on the battle field. 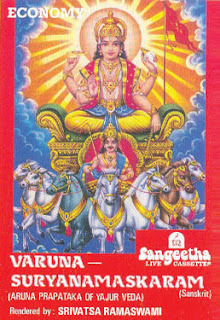 Aditya hrudayam punyam = The meditation of Sun in the heart highly beneficial; Sarva Satruvinasanam = Destroyer of all enemies, Jayavaham = Ensures Victory at all times; Japetnnityam = To the one who to be meditated always; Akshayam paramam sivam = The indestructible and bestows permanent happiness. It is Aditya hrudayam which is holy, destroyer of all enemies, bestower of victory, eternal and supremely blessed, and must be recited always. This one has better sound quality and reminds me more of listening to Ramaswami chant to us on his TT course while we rested in Savasana ( I have a ten minute recording of of one of those savasana sessions that I listen to in savasana every morning). 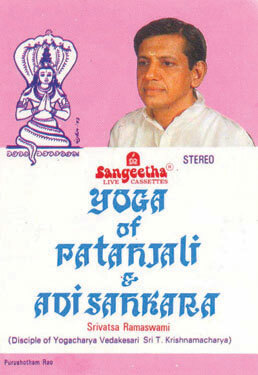 'Svadhyaya, or chanting, is an important aspect of kriyayoga and astanga yoga of patanjali. In the course of my training (over 30 years), my guru spent perhaps as much time on chanting and theoretical studies (svadhyaya) as on the physical aspect of yoga' p18.